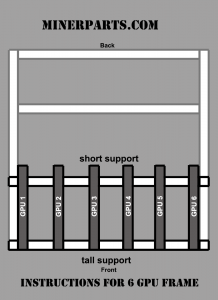 Graphic on how to setup the base of the rig. 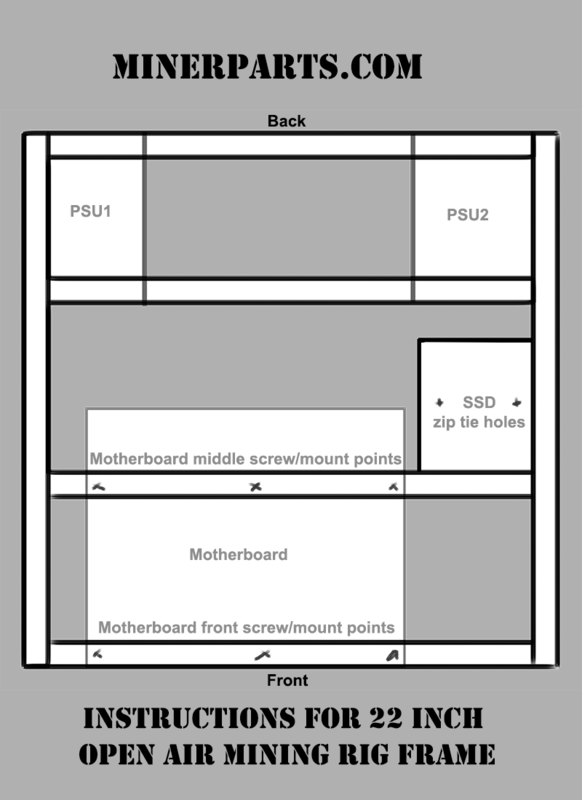 Graphic on how to setup the GPUs and supports for the rig. 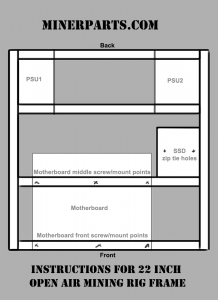 The gallery below contains a bunch of setup photos you also might find useful. This shows our preferred method of setting up our 6 GPU mining rig frames. 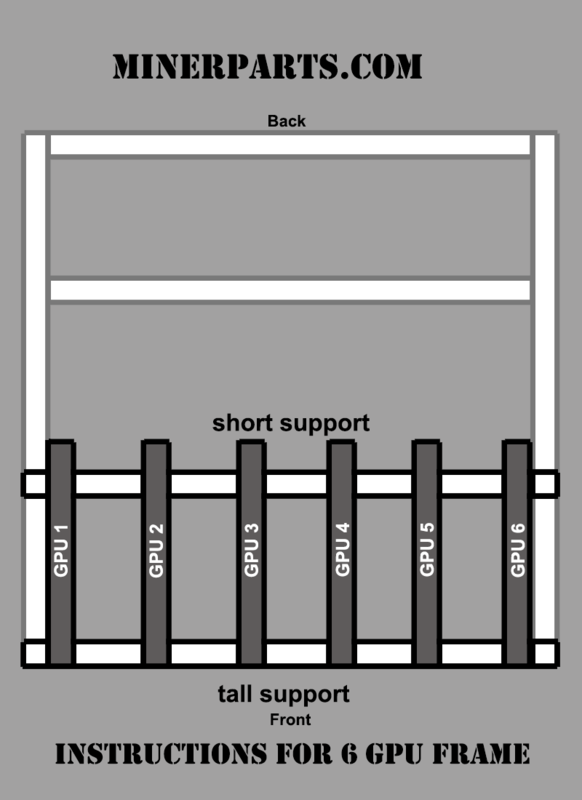 This 6 GPU frame easily supports 2 PSUs.